Drugs, the collective noun used for narcotics or psychedelics as opium, cannabis, alcohol, cocaine and amphetamine types, have been commodities of civilizations throughout the course of history. To understand why international drug laws have been established, one must know the history of this nowadays so called ‘drug war’ and thus the history of drug production, use and trade worldwide. In this document, the focus will be put on the commodity opium according to which other drug prohibition laws will be explained. Opium, for instance, a now prohibited commodity due to its illicit status and the negative character of its offspring drug, heroine, has been around for centuries. In the eight century A.D., a so called ‘opium zone’ had been created, spreading from the eastern Mediterranean to China over 5000 miles across the continent (more than 93% of today’s world’s illicit opium is produced in a similar zone that spans from Turkey to Thailand)(Owen, 1999). In the sixteenth century, India’s Mughal empire developed a commerce in opium as a recreational drug. Later, from the late seventeenth century to the early twentieth century, the Great Powers even promoted a free trade in opium; and its legal commerce produced an increase in the world opium production (Owen, 1968). Moreover, opium consumption grew rapidly in the West in the late nineteenth century due to some fundamental lifestyle changes that would adapt to people’s diets, but more on that later. Similar to other stimulants like coffee and tea, opium had emerged as a major global commodity over the past 200 years (Rowe, 1965). When in 1961, the United Nations prohibited non-medicinal opium use, the trade in coffee, tea and tobacco ranked in the world’s top twenty commodities (together with petroleum, cotton and wheat) (Rowe, 1965). McCoy states in his book ‘From Free Trade to Prohibition: A Critical History of the Modern Asia’ (2000) that ‘commodities are not mere trade goods, but are the building blocks of modern material life’. The production of those is essential to third-world survival and their consumption is integral to first-world lifestyles. He continues to say that the population of southeastern China suffered a caloric crisis in the late 18th and early 19th centuries and that the quality of opium as an appetite suppressant normalized its consumption due to the extreme circumstances related to its crisis. Similarly, mass addiction spread in Western industrial countries during the nineteenth century as a new diet based on proteins and stimulants pushed aside the simple eighteenth century milled grains diet. In Britain and the United States, consumption of sugar increased times four from 1850 to 1900 and consumption of tea and coffee increased times three (Dept’ Commerce & Labor, 1911). Parallel to consumption of sugar and coffee, opium consumption in America increased times four from 1840 to 1890 and the number of addicts reached 250.000 by 1900 (Courtwright, 1982). Sales of patent medicines, of which most of them were opium-based, increased times seven in Britain between 1850 and 1905 (Parsinnen, 1983). “The change to an energized diet could be used to stimulate the body during a long working day, then narcotics could be used to relax it in the short hours of rest,” McCoy explains. The transformation of these luxury goods into commodities of mass consumption has made them indispensable to the economies of Asian and Western nations. The British exported from India to China thirteen tons in 1729 to 2258 tons in 1839 during China’s opium prohibition, acquiring a de-facto monopoly in that region (Greenberg, 1951) . In fact, European powers used market and military coercion to promote opium trade and consumption while at the same time prohibit the cultivation of poppy in regions where it would weaken their monopolies. 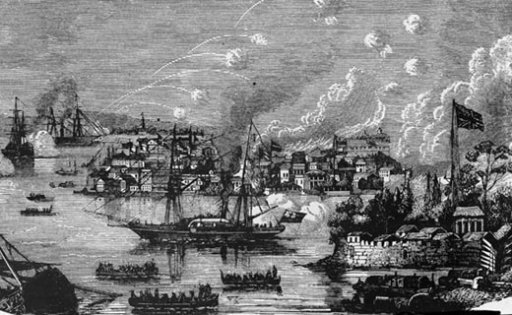 Britain sent ships and troops to attack Chinese coastal cities during the First Opium War in the 1830s and later during the Second Opium War from 1856 – 1860 in an alliance with France to occupy Beijng in order to force the Qing Emperor to legalize the import of opium (Wong, 1998). It is due to the great economic successes among European powers to control commodities such as coffee, tobacco and opium that changed dietary habits and lifestyles – which resulted in high opium addiction numbers by 1900 in Britain and the United States. The global drug prohibition campaign began in the 1870s when Protestant churches in England and the United States defied the opium trade on a moral scale and won – for the first time in the modern era – national laws that would limit the individual’s control over the body (Berridge & Edwards, 1987). A parallel diplomacy from 1909 to 1931 restricted people from Western nations on recreational drug use, which produced a major decline in legal opium production worldwide (McCoy, 2000). This prohibition distorted the global economy by excluding Asian poppy farmers who arose in the nineteenth century. However, new criminal syndicates emerged in Europe and Asia in order to supply the demand (Taylor, 1969). The ideology to eradicate a commodity that has deep economic roots had failed. From 1799 onward, Britain’s most daring rivals in the opium trade were the Americans (McCoy, 2000). The British were determined to defend their monopoly and the British East Indian Company decided to promote unlimited production in Bengal to produce opium that made competition unprofitable (Owen, 1968). Bengal’s opium country had over a million registered farmers growing poppy plants exclusively for the British East Indian Company (Strachey, 1903). After Britain won the Opium Wars against China in 1858, and this last one was forced to legalize opium, the smugglers became registered importers and state monopolies replaced private traders. In order to reduce European imports, China encouraged local cultivation (McCoy, 2000). But while China and Britain were caught in negotiations, the United States discovered, after occupying the Philippines in 1898, that they had obtained a state opium monopoly; similar to those in French Indochina, where licensed ‘opium divans’ were visited by 23% of the regions addicts. Or like the Kingdom of Siam, Southeast Asia’s only independent state, where the state earned 14% of its tax revenues by selling opium through these dens. There was no other region in the world that was ran by governments that promoted mass drug abuse as these states. They promoted opium consumption, but restricted the cultivation and smuggling. In order to maximize their revenue, the region’s monopolies imported cheap Indian opium and increased its value several times for sale to consumers which created an illicit demand for smuggled drugs (McCoy, 2000). In 1902, the capital of the Philippines, Manila, had 190 dens retailing 130 tons of opium which caused the colonial regime to appoint Bishop Charles Brent in 1903 the start an investigative Opium Commission that recommended prohibition (McCoy, 2000). After his successes in the Philippines, the Bishop persuaded former U.S. President Theodore Roosevelt to assist the Philippines against the drug trade by starting an international conference. It would in 1909 have been established under the name of the ‘International Opium Commission’. At the end of the 19th century, the United States went through important civil changes. 1865, the year that slavery came to an end, marks the start of the Reconstruction Period after the civil war and the start of prison privatization due to the inability to ship unwanted criminals to colonies. Farmers and businessmen needed labor force replacements when their slaves had been freed; and so, private parties were supplemented in their workforce by the establishment of convict leases, which was a system of penal labor (Zito, 2003) (Todd, 2005). The years 1875 and 1876, mark the beginning of minority suppression in the United States by law enforcement. In 1875, Opium laws were established that banned the smoking of opium in opium dens. This method of opium consumption was mainly used by Chinese immigrants. People of European descent used opium often in liquid forms and were not included in the legal opium consuming restrictions. In 1876, the Jim Crow laws imposed racial exclusion from all public facilities for African-Americans. In 1909, the Smoking Opium Exclusion Act of 1909 banned the importation, possession, and use of ‘smoking opium’. It became the first federal law to ban the use of non-medicinal substances, but did not regulate opium-based medications. The International Opium Convention of 1909 which was met in Shanghai, however, defended the colonial interests in the opium trade while at the same time it launched a global anti-narcotics diplomacy, which produced mixed feelings towards these acts by other nation states (McCoy, 2000). After several conventions where Bishop Brent maintained its moral momentum against colonial interests, the international drug laws were more specified in order to constrain the trade in narcotics by governments, and shifted the drug market to an illicit market in the hands of new criminal syndicates (McCoy, 2000) (Taylor, 1969). Due to the collision of the imposed policies, dynamic market forces were unleashed and they produced an explosive growth in world opium supply (McCoy, 2000). Moreover, the established invisible market limited state control over the drug trade and transformed the odorous, bulky product, opium, to an odorless, compact, and highly addictive derivative, heroin. An ideal criminal commodity. From the 1920s onward, each act of suppression produced an opposite criminal reaction. Due to the remaining demand, people from Asia, and later the United States and from countries in Europe suffered heroin addictions that put criminal syndicates in a favorable position during the Cold War. When in between rival territories, governments, in some circumstances, encouraged alliances with criminal syndicates in order to tackle rival nations (McCoy, 2000). The heroin trade was shaped by this contradictory policy of simultaneously prohibiting and protecting the global opium traffic. When in 1961, the legal opium trade was fully banned, the United States, together with the United Nations, turned to eradicating illegal poppy cultivation and prosecuting criminal traffickers. However, covert agencies worked together with urban criminals and warlords during the Cold War, which provided political protection for drug dealers in their operating regions (McCoy, 1991). How much influence the United States effectively has in its crusade against the drug market nowadays is questionable. The ‘drug war’ that began in 1971 on the initiative of U.S. President Nixon has in fact contributed to a worldwide increase in drug production. The idea that repression may actually stimulate the global production can be proven when looking back over the last 40 years. More recently, in 1999, the White House announced a multi-year program in order to reduce the use and the availability of drugs by 50 percent (U.S. Office of National Drug Control Policy, 1998). This strategy, that stands ground in U.S. domestic and foreign policies, remains focused on repressive measures and the use of military force and has not been adapted to the failures of the policies that they have experienced. In order to understand why this current policy fails is to take a look back and understand that the succession from an expanding free market trade to an aggressive attempt on prohibition has produced two policies that have positioned themselves next to each other with all its accompanying consequences. In 1972, Nixon attacked Turkish opium production (at the time the second-highest production area in Southwest Asia) and closed Marseille’s heroin laboratories from which he gained total victory (McCoy, 2000). His second attack focused on Bangkok’s exports. In the mid 1970s, the New York street price of heroin had more than tripled and its purity was halved, which are both indicators of commodity shortage (Cusack, 1974). The U.S. drug war has produced a strengthening of the global narcotics traffic. In order to eradicate the opium that is destined for their domestic market, the first 97% of the world’s opium supply must be treated first (McCoy, 2000). Meanwhile, criminal syndicates running the global drug market expand and take on forms that have become actual enemies of U.S. homeland security. In Afghanistan, the Taliban, an Islamic guerrilla-movement that has strong connections with Al Qaida (responsible for the 9/11 attacks on the U.S. World Trade Center and the Pentagon) owned 96,4% of the countries opium districts that it uses to finance its operations (U.N. DCP, 1999). Today, the production of opium is a very important aspect of the Afghan economy and the eradication of it can have massively destructive social influences due to the impending presence of the Taliban (U.N. ODC, 2002). Also, in the 1970s, when the heroin market collapsed in the United States, northeastern crime syndicates started producing illicit amphetamine; also called, methamphetamine. Through the years, the production and trafficking of popular illicit drugs has generated a multi-billion dollar black market. South of the U.S. border, Latin American criminal and terrorist organizations flourish and are now seen as ‘the greatest organized crime threat’ to the United States today (CRC, 2010) (NDIC, 2008). Although it seems on the surface that the United States is fighting a war that has the mission to eradicate drug production, trade and consumption, it may be interesting to evaluate in what ways the United States has made economic and political profit of its foreign and domestic drug wars. Paul Kennedy states in his book ‘The Rise and Fall of the Great Powers’ that the reason why European states had a greater advantage if it comes to state development in the 16th century was that it had less disadvantages than other world nations. European mercantilism in the opium market was put to a stop in the beginning of the 20th century, which took away a great part of these states their economic advantage compared to the United States. With the global drug market now having reached 8% of the total world economy, the United States has benefited from the prohibition laws compared to its economic rivals (Stel, 1999). Other economic profits the United States has gained over the years is due to illicit Drug Traffic Organizations (DTOs) in Latin America. The increasing and untamable violence in Central and South America has negatively affected legal commerce and economic development (CRC, 2010). Recently, Sendero Luminoso (Shining Path), a Peruvian narco-terrorist group, has become involved in terrorist and drug activities and has begun building a relationship with local coca growers by taxing them in exchange for protection against violence and ensuring fair prices. This makes it hard for government counter-drug programs such as aerial spraying to eradicate drug crops that, at the same time, can have unintended social and economic consequences (CRC, 2010). Not only economically, also during the Cold War when it disputed over territorial influence with communist countries, the United States has very often used the illicit traffic of drugs to finance political operations. During the Korean War (1951) and later in Afghanistan (1979), the U.S. Central Intelligence Agency (CIA) gave protection to drug traffickers to ultimately resist the communist front (McCoy, 2000). Although the United States spends yearly billions of dollars on the drug war worldwide, it seems as if it is not willing to change its policies. The policies that have been enacted on the domestic front after the International Opium Laws as the Marihuana Tax Law (1937) that prohibits the growth of hemp – which is a natural source to make ropes, clothes, but can also be used for cars instead of steel and as fuel instead of petroleum – and the Sentencing Reform Act (1984) that created a 100 to 1 sentencing disparity for possession of crack compared to penalties of powder cocaine, could veil more than is now known on the nature of these laws (Elsner, 2004). The international opium prohibition started as a moral campaign to stop the exploitation of inhabitants of European colonies and aided in the civil campaign in the fight against addiction. In time, the prohibition act has been used in favor of political and economical advantages by the United States when in conflict with other nations or for its domestic reasons. The integrity of the International Opium Act has been violated to a point that it is misused and its intentions ignored. The recent rejection of U.S. policies by Latin American countries and the appeal to change U.N. drug laws to look for new drug policy standards shows that legal binding is not enough anymore to gain control over the drug market. Stel, van der, J.C. (1999) Een nieuw drugsbeleid?. Raad voor de Volksgezondheid en Zorg en de Raad voor Maatschappelijke Ontwikkeling. Todd, W. (2005). Convict Lease System. The New Georgia Encyclopedia. Wong, J.Y. (1998) Deadly Dreams: Opium, Imperialism, and the Arrow War (1856 – 1860) in China, Cambridge University Press.